Few things are as scary and painful as a dental emergency. We provide 24/7 emergency dental care. Few things are as scary and painful as a dental emergency. 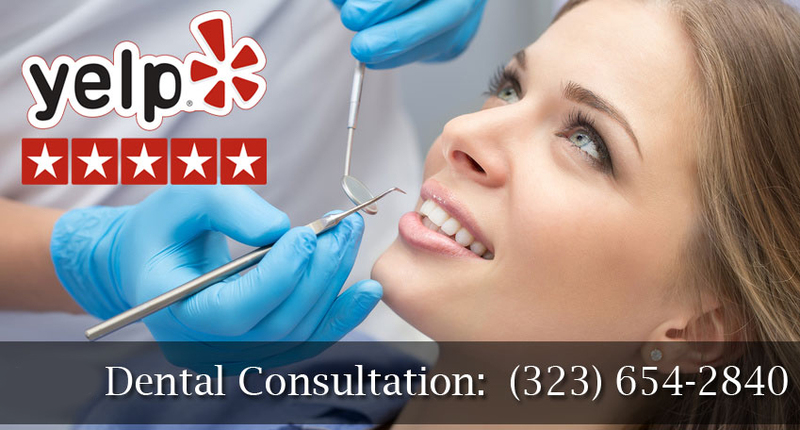 When you need emergency dentistry, Dr. Bruce Vafa provides that much needed service in the state-of-the-art dental facility of West Hollywood Holistic and Cosmetic Dental Care. For routine care like regular dental cleanings, examinations and preventative services for halitosis, cavities and gingivitis, West Hollywood dentist Dr. Vafa provides treatment with the compassion and expert knowledge that his patients have grown to love. As a holistic dentist, he treats patients for greater health and wellness into the future, not just for today's satisfaction of immediate dental needs. Anytime emergency dentistry is needed for adults and children, Dr. Vafa and his caring professional team are available to save damaged teeth and help patients in discomfort. Your dental emergency may be a dislocated tooth, an abscessed tooth or lost tooth due to trauma of an accident or sports injury. Whatever the trauma suffered by your teeth, emergency dentistry is available when you or other members of your family need it. If you or your child have lost a tooth in a vehicle accident or when it was knocked out through sports play or other activity, it is important to gain immediate dental care. If you have the dislodged tooth, place it in a damp cloth or cup of lukewarm water, milk or the patient's own saliva. This will help preserve the damaged tooth for possible replacement into its socket. Remember to not touch any of the root surface of the tooth, to prevent further damage and infection. If you have suffered a dislodged tooth, Dr. Bruce Vafa will see you at West Hollywood Holistic and Cosmetic Dental Care to provide emergency dentistry. The dentist will first reinsert the dislodged tooth after cleaning it. Using previous X-rays and other medical imaging tests from your patient file, Dr. Vafa will be able to see how the tooth was normally angled in the gum tissue before being dislodged. Rubber devices will be used in your mouth to collect oral fluids like saliva and blood from your tooth loss while the dentist works to reinsert and stabilize your tooth. Once the dislodged tooth is back in position, wires anchored on other teeth are used to stabilize and secure it. If you have reached the emergency dentist in good time and did not over-handle or damage the tooth in the aftermath of your accident, your tooth can be saved. In a miracle of dentistry, the nerves, blood vessels and roots revive and nourish the pulp to keep it alive. After several weeks, you will need to return to the West Hollywood emergency dentistry office for the tooth to be checked by Dr. Vafa. It is important to continue receiving dental care during this time period because your tooth needs to re-establish blood flow and reattach to gum tissue. The emergency holistic dentist will check your tooth to ensure this is happening and that other stabilization or treatments are not needed. Root canals and dental crowns are frequently West Hollywood emergency dentistry procedures, as well. These may be necessary if the crown of a tooth becomes damaged due to decay or injury. The root canal process involves the dentist drilling into the tooth to remove nerves, blood vessels and other structures. Patients are comfortable and relaxed during the procedure as they are provided with general and local anesthesia. Once the inside of the infected tooth has been removed, the tooth is cleaned before being filled. The filling is usually a composite resin that provides a strong biting surface while maintaining the appeal of your smile. If a dental crown is needed to protect a weakened or seriously damaged tooth, a dental crown will be made and placed over the top of the tooth. This crown will also match your natural teeth in color and texture, ensuring you keep a confident, beautiful smile. Regardless of the nature or extent of your emergency dentistry needs, the events surrounding your injury can be scary. This is why your West Hollywood holistic dentist Dr. Vafa is so helpful in these times of stress. Through emergency dental services you can ensure long-term wellness of the affected teeth or tissues and stabilize your oral condition. Dr. Vafa and his experienced team of West Hollywood Holistic and Cosmetic Dental Care are only one call away when you need emergency dental care.